Water and conservation: It might seem like water is an unlimited resource on our planet. But, despite over 70 percent of the Earth's surface being made up of water, fresh water is not an unlimited commodity. Over 96 percent of the water available to us is undrinkable due to it being ocean water (ie., salt water). Yet, the Environmental Protection Agency estimates that in America alone, over 1 trillion gallons of fresh water are wasted annually. Approximately 9 percent of the water NASA estimates is needed to end the current drought in the State of California (source). 24 million baths – or you could consider that each 50 gallons that the average bathtub holds could provide that fresh water to someone who needs it. In total, around 168,000,000 people who don't have access to fresh water could lead better lives if less water was wasted. It could fill Florida's Lake Okeechobee entirely. Okeechobee is the second largest freshwater lake in the United States, next to Lake Michigan. 1. Keep careful tabs on your water meter from month-to-month, to make sure that your water conservation efforts are actually making a difference. If not, you need to try harder. 2. Never leave water running while washing dishes. Instead, fill one sink with dirty dishes and soapy water and another (or a large bowl or small portable basin) with rinse water. 3. If you use a dishwasher, only use them when they're completely full. If the dishes don't wash well because it takes a long time to fill the appliance, consider switching to hand-washing. 4. Make sure air conditioning units and portable evaporative coolers are serviced yearly and try to capture (or divert) the water they give off for watering plants. 5. Wash your fresh garden produce in a sink or bowl filled with water instead of running the tap. 6. Position lawn sprinklers so they're not spraying water on your home, driveway, the sidewalk, or road. 7. If you live in an arid area consider fake turf or drought-resistant shrubs and other plants with low water needs instead of grass for your yard. 8. If you have a grass lawn, only water as needed. Walk across it – if you leave clear footprints, it's time to water. 9. Water plants and your lawn in the evening soon before, or directly after the sun has gone down to reduce evaporation. 10. Weed your garden weekly and use weed killer on your lawn in the spring and mid-summer. Weeds consume up to 10 times the water of grass and garden plants. 11. Use the dirty water from your fish tanks to water plants with. This nitrogen and phosphorous-rich water is a great source of free and natural fertilizer. 12. Consider directing runoff from eve-troughs into large barrels and use that water for plants. 13. Cover the ground on top of your plants with a 1 or 2 inch layer of mulch to prevent excess evaporation. 14. Install covers on pools and spas and check for leaks around your pumps. 15. Sweep driveways and walkways instead of spraying them with a hose or pressure washer. 16. Install a composter in your yard or on your balcony rather than using a garbage disposal. 17. Keep a pitcher of cold water or several bottles of your favorite mineral spring sparkling water in the fridge instead of running the tap to get a cold drink. 19. Run your shower with a 4 liter (~1 gallon) bucket of water underneath. 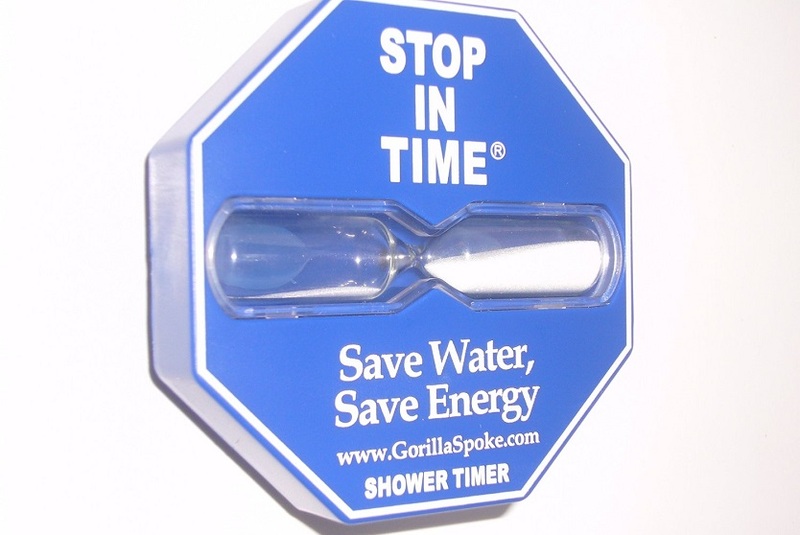 If it takes less than 20 seconds to fill, your showerhead is not water conservation friendly. Select a new energy efficient showerhead with a flow-rating of less than 2.5 gpm to save on all water costs. 20. Turning the water off while brushing your teeth and shaving can save over a 1000 gallons of water a year. 21. Replace older toilets with newer low volume ones – or replace your old ballcock assembly with a newer fill valve assembly and adjust water levels to the minimum setting. It's estimated that somewhere in the neighborhood of 20% of all toilets worldwide have at least a minor leak which can amount to major water wastage. 22. Check toilets for internal leaks by placing food coloring into the tank and not flushing for an hour or two. If the coloring seeps into the bowl during this time, you have a leaky toilet that's likely wasting hundreds of gallons of water a month, and costing you plenty extra in water and sewer bills. 23. Consider employing the “If it's yellow let it mellow, if it's brown flush it down” mantra in your household. Use an environmentally-friendly toilet puck to keep odors down. 24. Use the trash can for tissues used for blowing nose and grooming purposes instead of flushing the toilet every time you use them. 25. Check all indoor and outdoor faucets for leaks visually and by placing a cup or small bowl underneath for an hour or so once every year. 26. Water-saving aerators on all household taps are inexpensive and save thousands of gallons of water a year. 27. Make sure all outdoor water fixtures have a shut-off valve indoors and turn them off before the frost hits each year to prevent a burst pipe outdoors that goes unnoticed until spring. 28. Install pool covers when not in use, to prevent evaporation and replace water manually rather than using an automatic refilling unit, so you can track your water use more accurately. 29. Replace all water-consuming appliances that are more than 20 years old – a new washing machine can save more than 20 gallons per load over a used one. 30. Don't use the medium or large load setting on your washing machine when the small setting will do. 31. Don't use running tap water to defrost frozen food items. A little forethought the night before can save hundreds, if not thousands of gallons a year in water usage. 32. 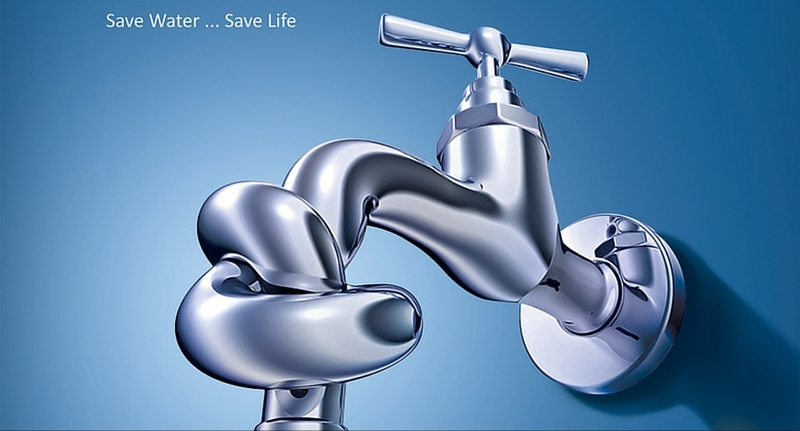 Make sure your children are taught to turn the tap off tightly after each use. Do this from an early age and consider installing touchless faucets in all your household sinks. 33. Everyone in the home should know where the main household water shutoff valve is in case of a burst pipe or malfunctioning faucet. Test the valve yearly by turning it off and running a main tap dry – water should stop flowing after 30 seconds to minute with no drips thereafter. 34. Don't wash your car at home. Instead, find a commercial car wash that recycles their water. 35. Get together with parents in the area and agree on a schedule where you all take turns hosting “cool down” parties using a sprinkler or kiddie pool during the hot days, so that overall water usage is lowered in your community. 36. Implement just one water conservation trick every day – every drop of water saved per person amounts to untold water savings. 37. Insulate your hot water tank with a hot water blanket and insulate all accessible hot water pipes to reduce the amount of time you have to run your hot water tap before you get warm water. 38. Install and maintain a water filtration unit where the main water pipe enters your home, instead of a water softener. Less calcium and magnesium prevent calcification inside your pipes and appliances, saving on overall water usage. 39. Wash your pets and livestock outdoors in areas where water is scarce. 40. When buying purified spring and mineral water, do your research on the brands you want to buy and ensure they're sourced from naturally filtered aquifers. When bottled water needs to be purified excessively, countless thousands of gallons are wasted during production and/or when the finished product doesn't meet safety standards and has to be dumped back down the drain. Make sure to share this information with people you know whenever you can. After all, considering that it's something most of us drink and use for grooming on an hourly basis every day, water conservation isn't a topic that's hard to bring up. Also check out our blog posts for more interesting talk on water. Future generations depend on it – in less than 15 years, half of all people on Earth will live in high water stress areas if we don't work together to reduce our consumption. Read also "Water Diet: 3 Ways Water Can Help You Lose Weight"